Visit Stratford-upon-Avon Butterfly Farm this Halloween and come face to face with its brand new eight-legged resident – the pumpkin patch tarantula. 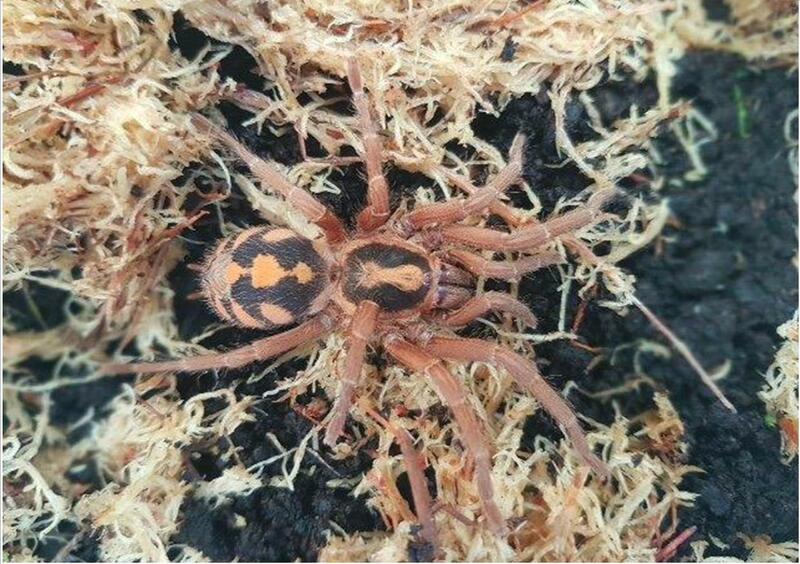 Arriving just in time for October half term, this stunning, beautifully coloured spider originates from Colombia and is given the name ‘pumpkin patch’ because of its distinctive, brightly coloured orange and yellow abdomen. Although fairly small in size, this spider has plenty of attitude and can be found on display at the farm’s Minibeast Metropolis. Jane Kendrick, Marketing Manager at Stratford Butterfly Farm said “The Pumpkin Patch is one of the most colourful spiders we have on display. If you want to be scared this Halloween then come and discover an assortment of spooky Spiders including the Chilean Rose, Mexican Fire Red, Goliath Bird Eating and the Brazilian Fire Red. All our spiders are installed in alarmed tanks and therefore completely safe to view”. ‘Meet the Mini-Beast’ handling sessions will also be on offer twice a day in the Discovery Zone during half term. Under the supervision of the Education Team, children and adults can take part in spooky handling sessions and hold creatures such as a giant African Millipede, African land snail, Madagascan Hissing Cockroach and a variety of Stick Insects! The Discovery Zone and Minibeast Metropolis also feature demonstrations and displays from beetles including the Radiant Sun Beetle – a type of Scarab from the Middle East, Dung Beetles from Africa, a Giant Atlas Beetle and colourful Jewel Beetles from Asia.